Rugao Yaou Company is a professional tricone drill bit manufacturer in China. Our tricone drill bit or tri drill bit is a kind of oil drilling equipment. 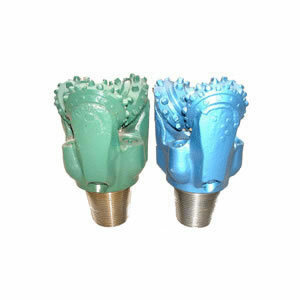 As one of the most commonly used oilfield drill bits, our tricone bit is a primary tool used for drilling, and is widely used for oil and gas exploitation. Additionally, our tri drill bit can also be used for drilling water wells, blast holes, making holes for seismic prospecting, and used in construction engineering. To meet different drilling requirements, we provide eleven series of tricone rock bits, which include Y, P, M, MP, HP, PC, XMP, SH, SHJ, SHT and SK series. The size of the gauge diameter and the sizes and types of connections are strictly designed according to API Spec.7 specifications. As a noted oil drilling equipment manufacturer, we have many years of experience in the production of petroleum equipment. Till now, we have obtained API certificate. To satisfy various needs of our customers, we are able to produce high quality and cost-effective oil drilling, drill rig parts, oil drilling tools, shearing machines, hydraulic press brakes, and more. Currently these products are in great demand in countries such as America, Germany, Russia, Brazil, United Arab Emirates, Oman, Libya, Egypt, and so forth. Welcome to contact us for more information on our tricone drill bit.